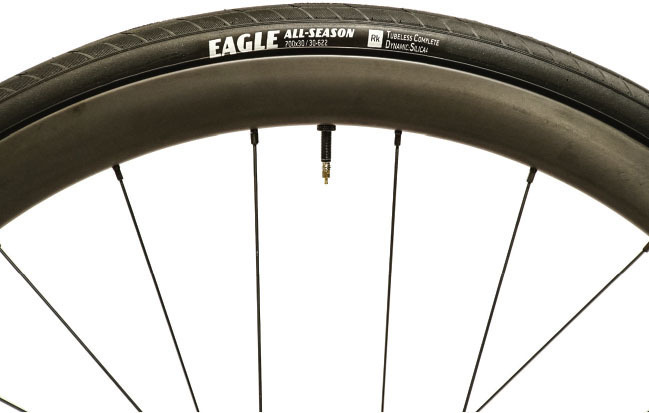 Tubeless road is no longer a fringe element. The benefits are well understood: better handling, smoother ride, lower rolling resistance. Even if riders dispute that, there is no disputing the vastly improved flat resistance. In most cases, you’ll wear your tire out before you flat. But, most importantly, there is no need to cobble together a tubeless setup from random suppliers and hunt down YouTube how-to videos. It’s easier than ever to go tubeless. From issue 77, available in the PELOTON Shop. In the past, wheel manufacturers had no idea what tire would be run, so they made the outside diameter of the tubeless rims just a bit larger to ensure tires did not blow off. Tubeless-tire manufacturers had no idea what rim a rider might use, so they made the tire with a just slightly smaller interior diameter, so they would not blow off. The result was frequently a nightmare scenario of almost-impossible-to-install-and-remove tires. Too many riders battled these forces and gave up on tubeless, or completed the install only to eventually flat on the road and be unable to remove the tire and install a tube, resulting in the call-of-shame home. If this describes you, it’s time to come back to tubeless. 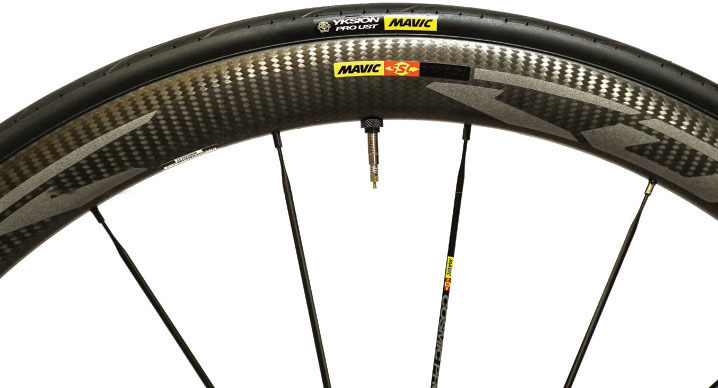 Install is a vastly different experience, with some brands making both the tubeless tire and the rim for a perfect fit, and Mavic going as far as to spearhead a UST standard for road rims and tires that could make tubeless on the road as ubiquitous as it is in mountain biking. Finish Line even makes a new sealant that never dries out, negating the need to refresh sealant every couple months. It’s easier than ever to get the benefits of tubeless, so here’s a look at five different setups and how easy (or not) it was to get them installed and on the road. 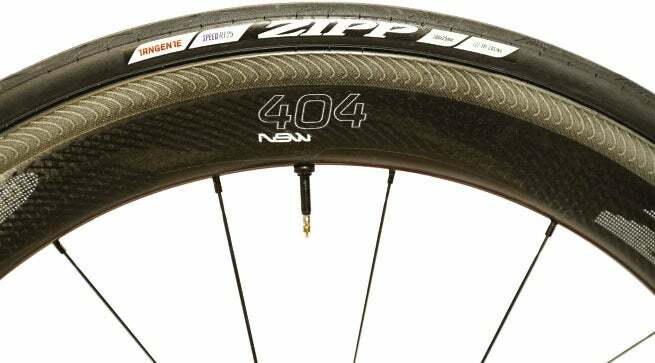 Zipp is fairly new to the tubeless world but, like its carbon clinchers, the Indy brand waited until it got it right. We set up the new 404 NSW Tubeless with the new Tangente Speed RT25. The tire goes on easily, by hand, no tire levers necessary for even the softest keyboard hands, proving how potent is the combo of tire-and-rim manufacturer. We have managed to get Zipp tire beads to seat with a floor pump in the past, but the 404 NSW required a compressor to pop the Tangente Speed RT25 bead. Bontrager has been on the leading edge of tubeless for many seasons, pioneering complete kits that take the guesswork out of ditching your tubes. Although Bontrager makes its own tires, we tested the new XXX6 with a set of IRC Formula Pro Tubeless X-Guard tires, a new favorite around here. For an experienced tire installer, no levers are necessary, but for most riders a single lever for the last few centimeters makes things very easy. This combo required a compressor to get the bead to seat. Mavic has been making matching tires and rims for quite a while now, but it’s only with the advent of its UST road standard that it truly matters. Mavic rim hooks fit Mavic tire beads like a lock and key. We set up the new Cosmic Pro Carbon SL UST wheels with Yksion Pro UST 25mm tires. While it took one tire lever to get the bead over the rim wall and then make sure the bead is sitting in the center channel, the magic of the UST system pays off under inflation. With a standard floor pump, the tire inflated easily first try, seating the bead confidently. We’ve also found that Mavic’s alloy UST Ksyrium wheels inflate just as easily, while the Yksion tires mount by hand. Roadside Repairability: Make sure the tire bead is sitting in the low, center channel and a single tire lever gets it done, or else you’ll be wrestling with it. B grade. Irwin wheels have been a recent find for us and we’re happy we discovered them—great value in supercompetitive wheels. We set up the Aon GX 35, a gravel and adventure wheelset, with new Goodyear All-Season 30mm tires. We’ve set up Irwin wheels with IRC tires and Schwalbe tires with little issue, but the Goodyear tire has a very stiff bead and sidewall. It took a lot of leverage with a tire lever. On the bright side, the combo set up with a Silca Superpista. After some maniacal pumping the bead confidently popped into place. Roadside Repairability: Bring a tire lever and make it a steel core one. You’ll need to use some serious leverage, but you shouldn’t be stranded. C grade. Another mix-and-match set: 35mm Schwalbe G-One All-Round tires on DT-Swiss CRC 1400 Spline wheels. 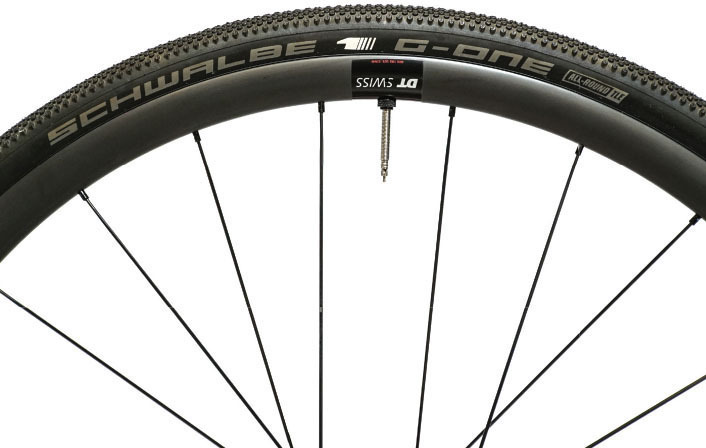 Schwalbe has been setting the tubeless standard since it jumped into the game with the new Pro One. The G-One tires have kept that hot streak going, and they mounted up easily on these DTSwiss. Some might need a lever just for the last bit of bead, but most will be able to do it with bare hands; and the bead popped in with just a floor pump. Roadside Repairability: Accepts a tube more easily than most traditional clinchers. A grade. Every one of these combos sets up first time. Now, you may have heard that some tire manufacturers rail against the use of a tire lever—well, too bad, some still need a lever; just be careful not to gouge the bead. IRC actually makes a tire lever specific to its tires that protects the bead, and it works really well on any tubeless tire. If you’ve got a setup that requires a compressor, don’t fret. Lezyne and Bontrager make pumps with chambers to compress air and blast it into the tire all at once; just make sure to pull the valve core out for maximum air volume. Schwalbe, MilkIt and a few others make separate chambers you can pump up with compressed air, then release into the tire to seat the bead. If you don’t want to go there, a CO2 cartridge will seat a bead almost every time. If you have a tough one, lubricate the bead and rim hook with a bit of dish soap. Big tubeless valve seats can also hang up a tire bead, do a double check that the bead isn’t hung up so you don’t waste all that pumping or a CO2 cartridge. 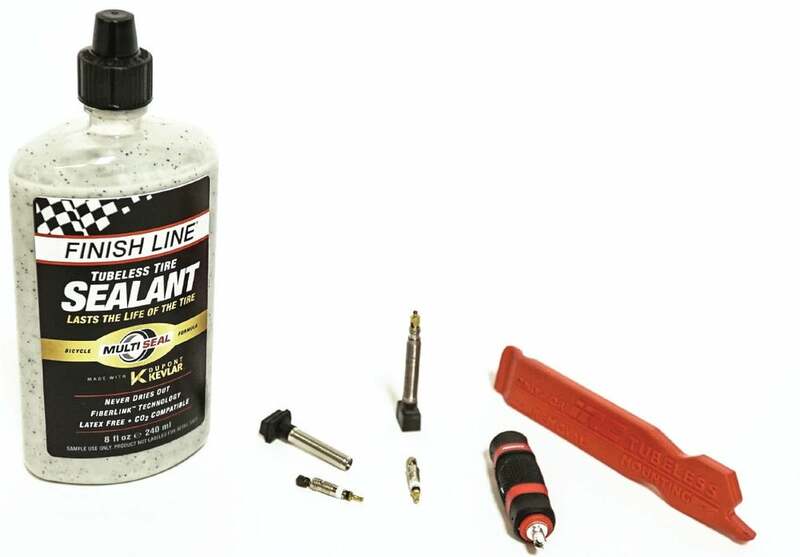 There are endless options for sealant, but we’ve been partial to Finish Line’s new Multi-Seal with Kevlar FiberLink. With no latex, it never dries out. That’s right, no more refreshing your sealant for the life of the tire. Game changer! Instead of a chemical seal, small Kevlar particles mesh together as the tire moves to fill punctures. 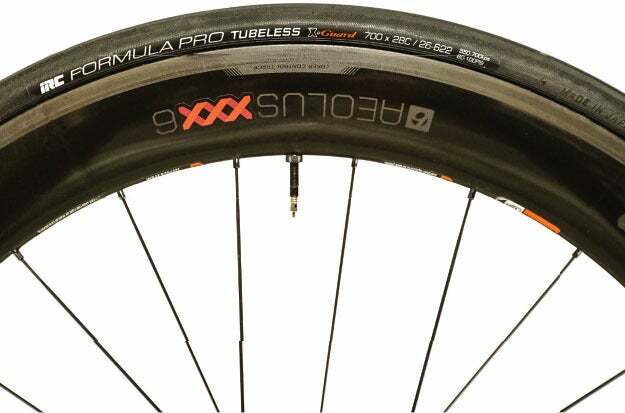 An important thing to note when it comes to fixing a tubeless flat on the roadside is that a tubeless flat is likely due to a slice or a totally worn tire. A simple thorn or small piece of glass will be sealed by any decent sealant. That means after installing your tube, it may end up poking out of a big slice, and just flat again. Bring a tire boot with you and use it. A small piece of duct tape stuck to the underside of your top tube for storage will do the trick. The big takeaway here is that the old tubeless days of broken tire levers and cursing are gone. Forget about the bloody knuckles and frustrating late-night set-ups before the big ride. We ditched tubes for car and motorcycle tires long ago. There are likely two things at your house that still use tubes: your bike and a wheelbarrow. Time to move on.